John Temple’s column in the Rocky Mountain News today, ‘Simple moments, rich rewards’ was very inspiring. Not just because I work at Denver Botanic Gardens, but also because the article hits it in the nail regarding the little things in life that really matter. Every morning I look out my kitchen window and the sight of geese in the golf course behind my house or the Daphne that still refuses to stop blooming or the water bubbling in my pond or the dried seed heads of the ornamental grasses swaying in the wind all inspire me as I start my day. It is these simple pleasures in life that are truly memorable. 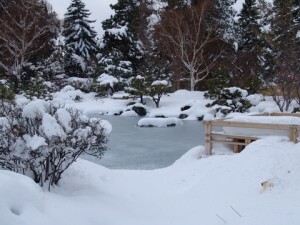 Denver Botanic Gardens offers many such memorable moments for visitors of all ages and walks of life throughout the year. Winter in the Gardens has its own charm. As you walk through Shady Lane notice the bright red dried-up crab apples still clinging to the branches like tree ornaments. The carefully and artistically manicured character pines, rocks and water in the Japanese Garden evoke a pristine and peaceful picture. The Rock Alpine Garden almost always has something surprising to offer visitors with its varied texture and miniature plants. 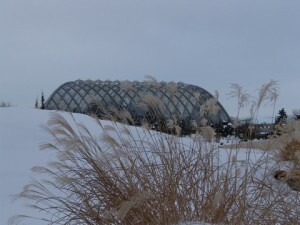 The Ornamental Grasses Garden with its swaying grasses reminds us of the prairie that our Denver landscape once was. 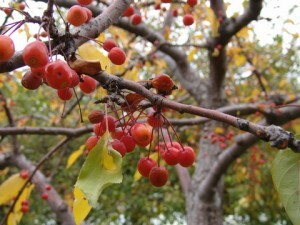 Take time to notice the barks of the different trees throughout the Gardens. The amazing diversity of tree bark is something everyone misses because not many pay close attention to that. Finally, last but not least, the Boettcher Memorial Tropical Conservatory is the ultimate tropical destination to escape the outside chill of the winter. 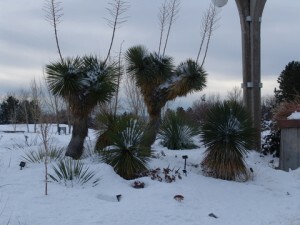 So, come on by this winter, stroll through the Gardens and discover the little surprises that the Gardens have to offer.